Getting involved. With people. With the community. Doing the things we can to make a difference in the lives of those around us. It’s something that’s high on our list of priorities for everyone at New Home Resource. Perhaps it’s that nature that led us into the real estate business to begin with, as buying or selling a home is a very personal thing – and being able to help people through that transition is one of our favorite parts of the job. Throughout the year, our staff is proud to take part in volunteering our time and efforts to a number of local charities here in Southern Nevada. In fact, it’s so important to us that on many occasions – if our entire staff chooses to participate in an event – we’ll even close down the office (with salaries paid, of course! And our apologies in advance if we’re a little slow in responding to your call on those days). 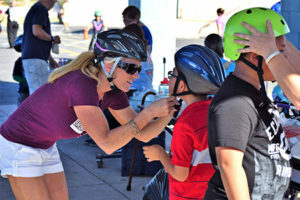 In addition to our involvement with local charities such as Three Square Food Bank and a number of Las Vegas animal rescue organizations, New Home Resource broker, Joanna Piette, is also the founding President of Breakaway Cycling Inc. – a Las Vegas-based 501(c)(3) charitable organization that teaches bicycle safety and donates bicycles to underprivileged children. 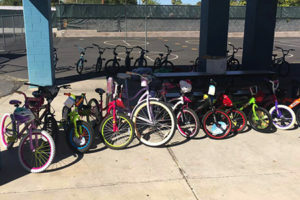 Breakaway also coordinates with the Nevada Department of Transportation (NDOT) and the Regional Transportation Commission (RTC), as well as partnering with the Clark County School District (CCSD) in the “Safe Routes to School” program. 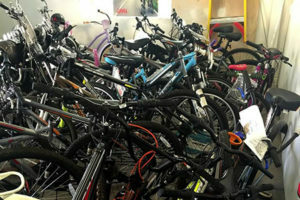 To make a donation to Breakaway Cycling Inc., you can do so by visiting our website at www.breakawaycycling.org. 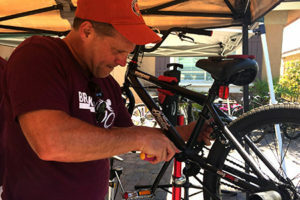 We also partner with Walmart® to repair bicycles that have been damaged in transit and cannot be sold. 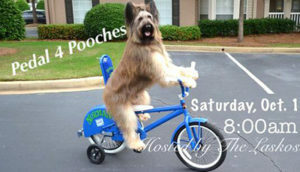 We repair the bicycles and donate them to those children in need. 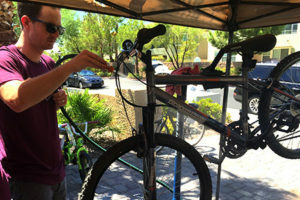 One of our team members hard at work repairing a bicycle that will be donated to a child in need.